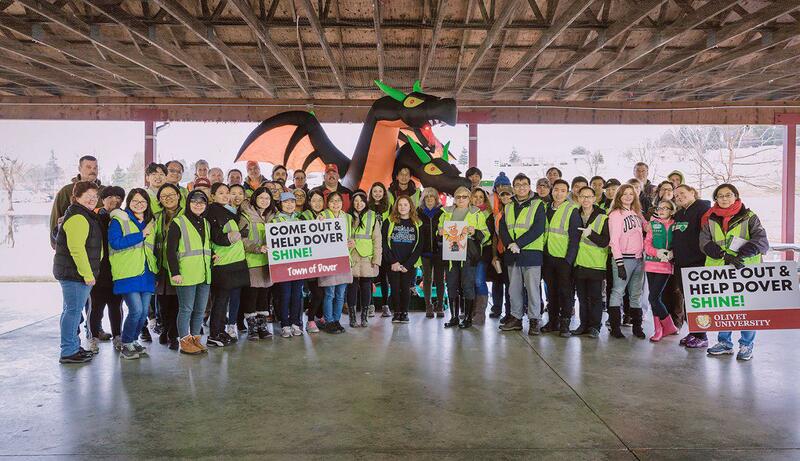 Olivet University held its 2018 Convocation across its three locations in Riverside, San Francisco, and New York. The ceremony concluded a weeklong orientation event as the University gave thanks to God in welcoming the new 2018 academic year. Olivet University Riverside welcomed its campus president Dr. Nathanael Tran as this year's convocation speaker. 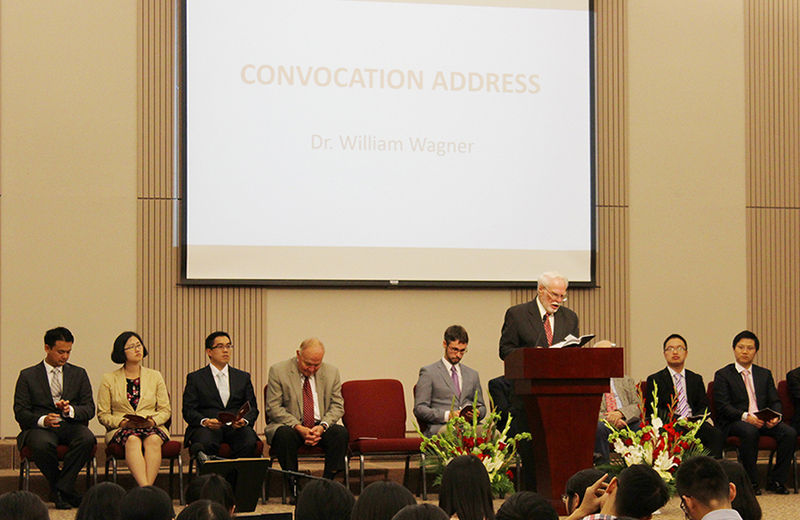 Dr. Andrew Lin delivered the welcome address for Dover, New York’s campus and Dr. William Wagner delivered the convocation speech at San Francisco’s new campus location. 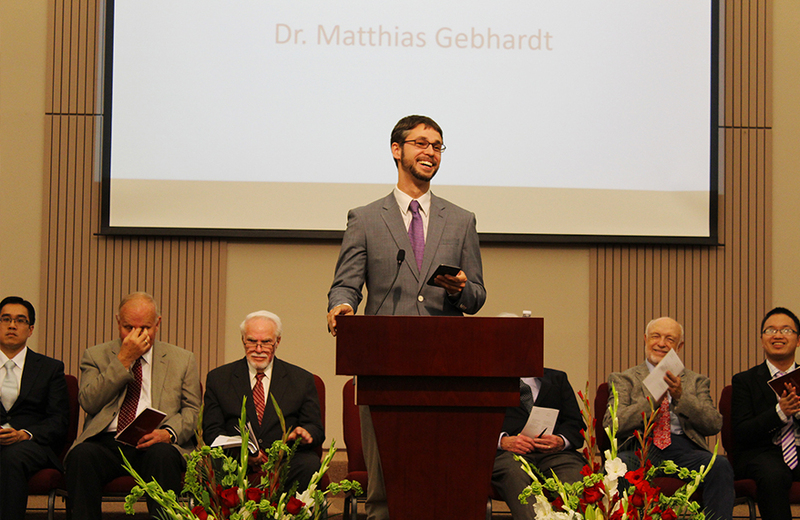 OU San Francisco campus president Dr. Matthias Gebhardt gave a short welcome, recognizing new arrivals among students, staff, and faculty before introducing Dr. William Wagner, who read from the passage in Joshua 14:6-13. The speech recalled the story of how Caleb and the generation of Israelites entered the Promised Land and how God remained faithful by giving Caleb the promised mountain once he entered the land. Olivet University New York campus president, Dr. Tracy Davis, served as master of ceremonies. The ceremony was accompanied by praises and choir of Jubilee New York, attendants experienced a gracious service with following presentations and a campus prayer tour. 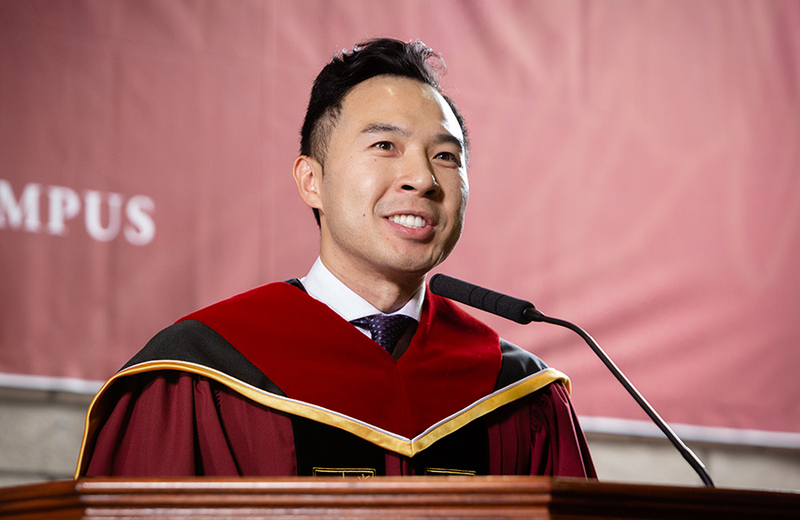 OU New York's convocation address, delivered by Dr. Andrew T. Lin, Chairman of the Board of Trustees of Olivet University, opened by interpreting the meaning of the Latin-rooted term convocation, which combines a notion of community, in the prefix con, and an idea of commission or calling in the noun vocation. The speaker reminded the audience of their common biblical vocation, to unite as one body of Christ, and to proclaim His gospel in all the world. OU Riverside's address shared about the success students can have through humility and boldness. Dr. Nathanael Tran encouraged students to be bold in petition but remain humble in reverence to the Lord. Reading from the passage in Philippians 2:6-9, Christ was the prime example of humility and that through his example, one can see how humbleness is a source of great power. Each location welcomed their respective new Olivet students and gave much encouragement to all in the audience as the University officially launched a new academic year.